The Buddha Hall can be observed from the base of Mt. Nagusa-yama. Inside the Hall a golden Daisenju-juichimenkanzeon-bosatsu-zo (statue of a Buddist saint with a thousand hands and 11 faces) overlooks the city. 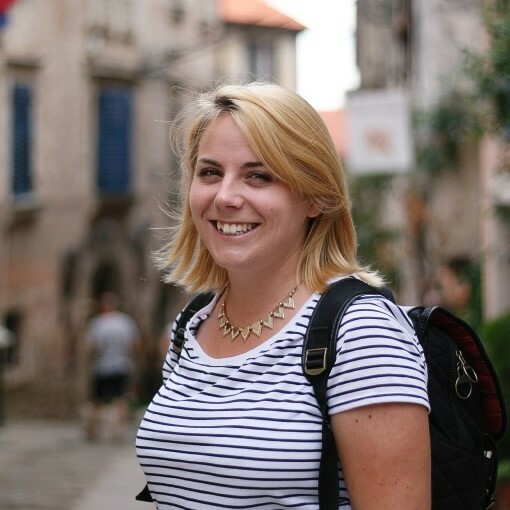 This statue measures 12 meters tall and weighs 30 tons. 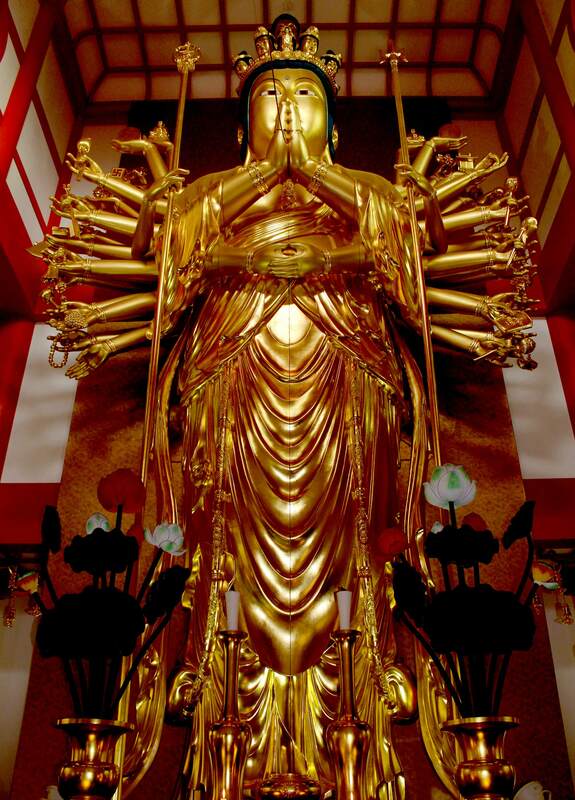 The shiny kannon is recorded as the biggest standing statue made from multiple pieces of wood, in Japan. Taking a rough 10 to 15 minutes walk from Kimiidera Station, the namesake temple of Kimiidera (Admission: 200 Yen) is one of Wakayama’s most important. 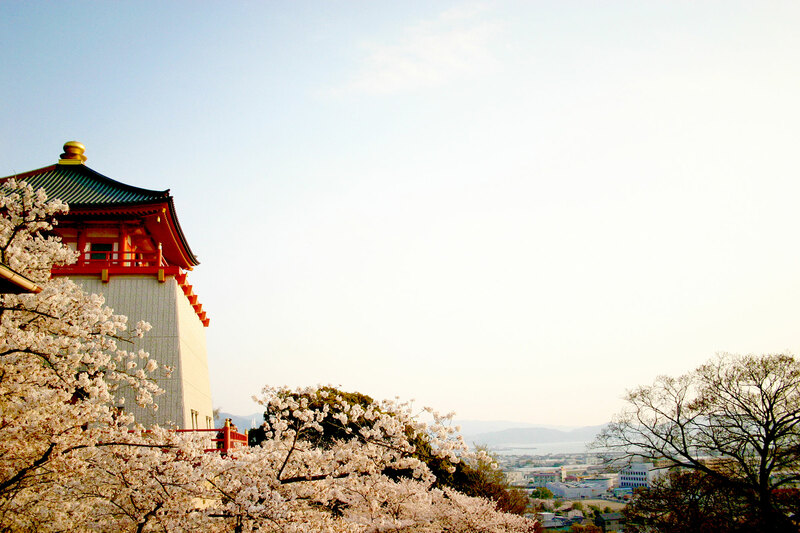 It is also a popular tourist attraction especially during spring due to the cherry blossoms that can be glimpsed in the complex. 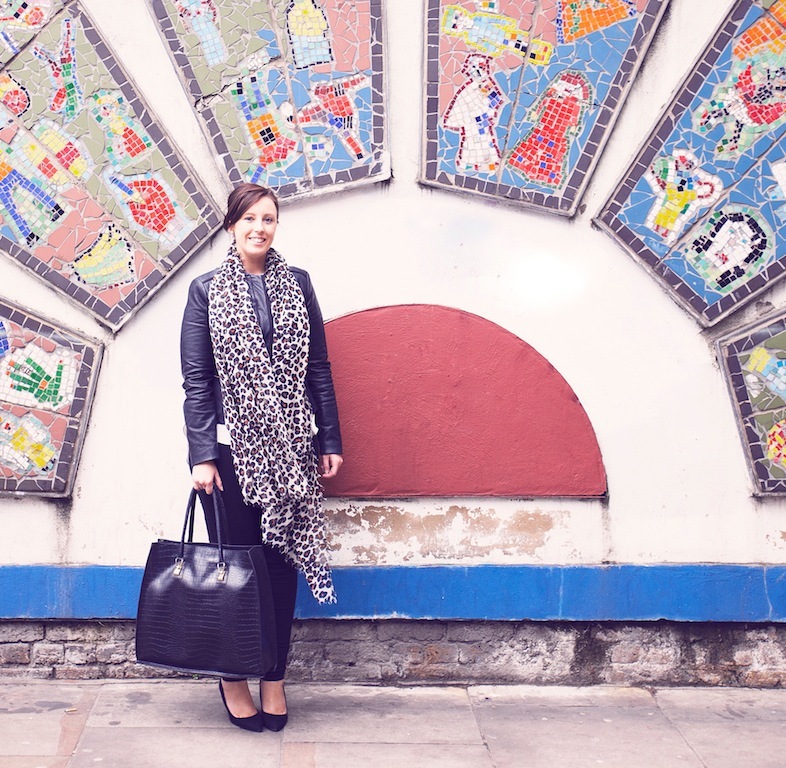 The temple dates back from 770 when it was founded by a Chinese priest called Iko Shonin. 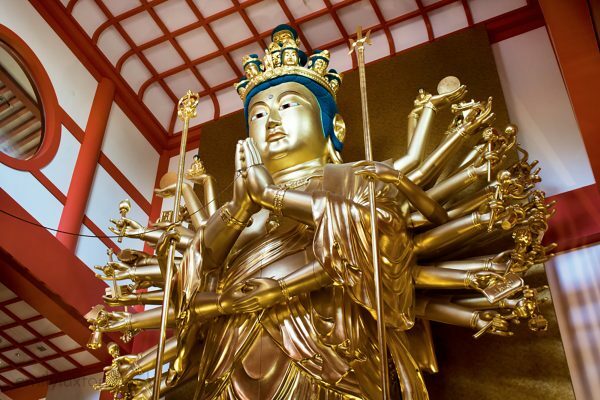 One of the highlights here is an 11 meter tall statue ofthe thousand-armed Kannon (Avalokitishvara). 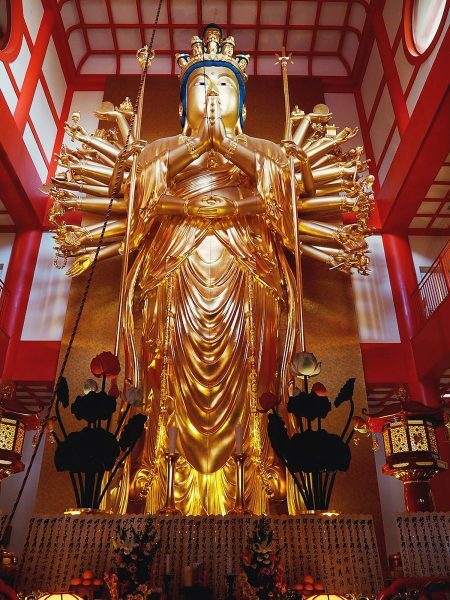 I was distracted at first by the dazzling 12 metre tall golden statue in the Buddha Hall but when I returned once more to explore the Main Hall that’s when I saw it. 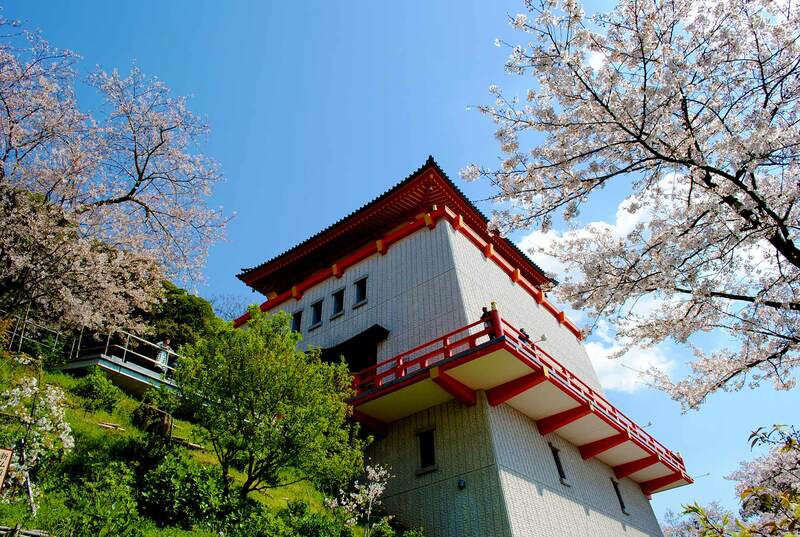 Founded roughly 1250 years ago, Kimiidera temple stands on the edge of Mt Nagusa-yama and has amazing views f the city. 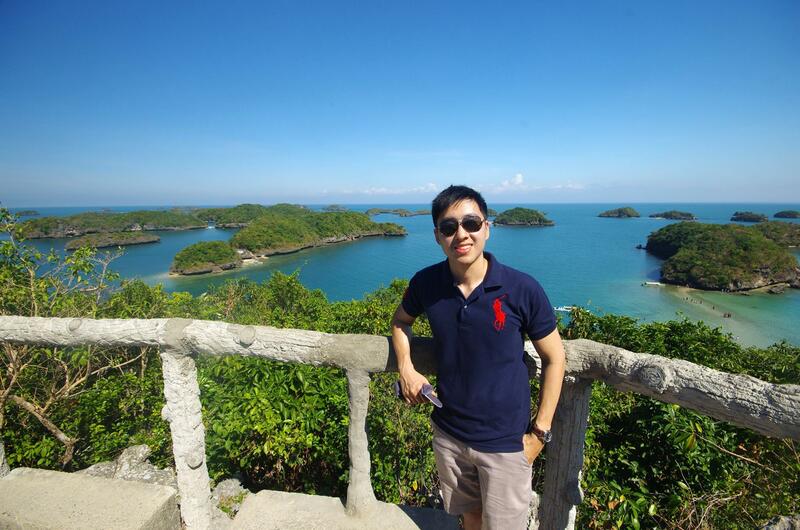 I fell in love with the serenity and peace at this leafy temple complex; it’s beautiful! This is the second temple along the oldest pilgrimage route in Japan. 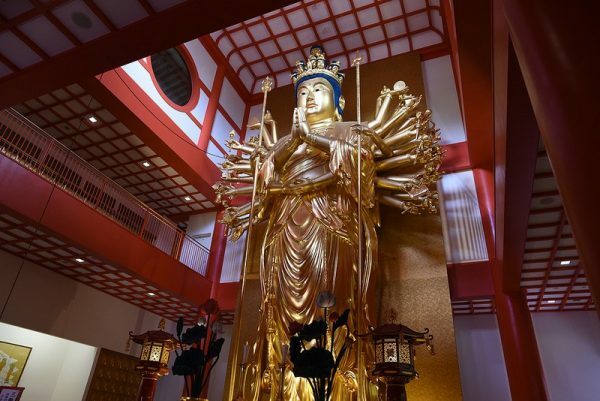 Kimiidera is also home to a huge gold-coloured Buddha statue known as Senjyu Kannon; at 12m tall it’s the largest wooden statue in the country, and it’s pretty impressive.